St. JacobsRecord Owner? Log in. Pop. 1,171. In Woolwich T., Reg. Mun. of Waterloo, on the Conestogo R. and C. Rds. 17 & 86, 12 km. N of Kitchener. John E. Bowman settled in the area in the 1820s, but the community didn't begin to develop until the late 1840s when Solomon Bauman built a sawmill on the river. 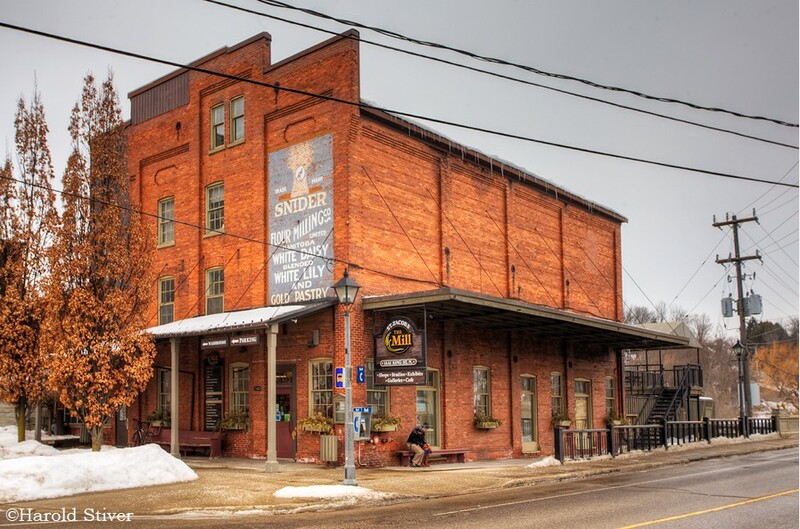 The place was first called Jacobstettel by the German and Pennsylvania Dutch settlers, but the name had changed to St. Jacobs by the time a post office opened in 1852. The name honours Jacob Snider and Jacob Eby, early millers. In 1875 Elias Weaver Bingmm Snider revolutionized Canadian flour milling by installing German-built flour milling rollers in his mill. Have something to say about St. Jacobs?